Nashville, Tennessee is universally regarded as “Music City, USA”. Popular for the decades of country music originating from the city, it is still occupied with plenty of hopeful singers, journeyman bands, and colorful songwriters. 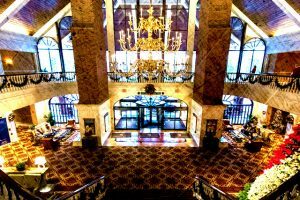 As a city with plenty of visitors in and out over the many years, it should come as no surprise that one of the most haunted places is the Gaylord Opryland Resort. Is the Gaylord Opryland Resort Haunted? Formerly known as the Opryland Hotel, the Gaylord was opened in November 1977. 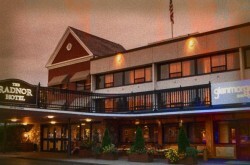 With a nearby amusement park and Nashville being home to the Grand Ole Opry country music show, the hotel’s 580 rooms were constantly at full capacity. 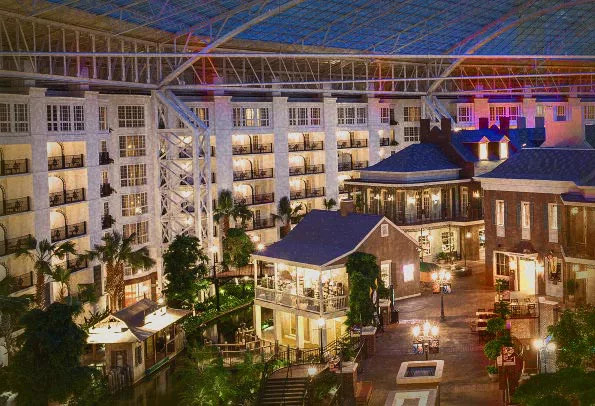 As business and visitors grew in Nashville, so did the number of rooms at the Gaylord. 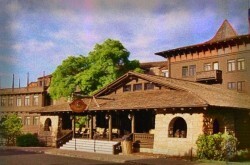 It acquired nearby real estate and kept expanding to meet all the requests for rooms. One of the busiest areas of the property was the Magnolia Lobby. It was designed with an elaborate master staircase at the center of it and resembled that of a classic Southern mansion. Above it hung one of the most elaborate and ornate chandeliers. However, the former chandelier may also be connected to one of the property’s most active spirits. The primary ghost to be seen is The Black Lady. People who have witnessed seeing her describe her as a younger woman dressed in a very ornate antebellum period black dress. The most frightening aspect of her appearance is said to be the black veil that covers her face, giving her a very creepy and hair-raising appearance. Little is known about her origin other than she is given the name of Ms. McGavock. 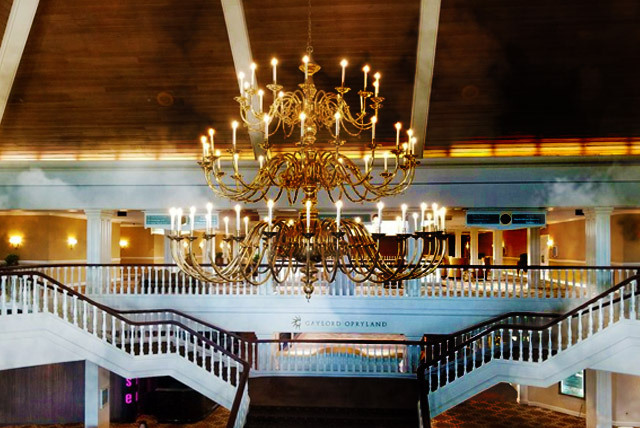 Stories from various people claim she was indeed killed by a chandelier falling on her decades before in a home that was occupied on the land before the hotel was built. People report at times the chandelier’s lights will alternately blink or go out despite no faulty explanation. Other times, the chandelier will sway back and forth before mysteriously coming to a complete and total stop. The Black Lady is known to haunt all areas of the hotel. One pair of guests report approaching an open elevator with a woman dressed in all black inside, only for them to enter the elevator, the doors close and she completely disappears. Her activity also occurs late in the evenings outside guests rooms. Visitors have complained of running and stomping sounds accompanied by weak moaning sounds only to have security come up and find the hallways completely empty. Inside the rooms, she is known to come in the middle of the night to wake sleeping guests by whispering either, “mister” or “miss” in their ears! Despite her dreadful appearance and activity, The Black Lady is not known to cause any destruction nor is malevolent in any way. 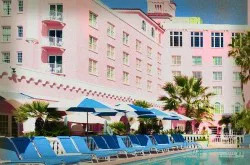 In fact, some of the hotel staff chide one another and often cite Ms. McGavock as being responsible for anything that mysteriously happens, good or bad, in the hotel. 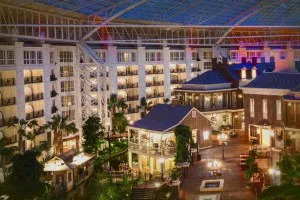 Today, the Gaylord Opryland Resort is a sprawling, ornate resort with nearly 2900 rooms. It is listed as one of the largest hotels in the entire world as Marriott International now runs the resort. However, no matter how much larger the resort grows, The Black Lady has been said to have been spotted in every corner of the property. This Nashville mainstay resort is definitely worth a visit for paranormal enthusiasts. I’m currently at the Opryland Hotel. I intentionally did not look online to see if it was haunted before I went to bed, though I sensed there was a female spirit here. Well, at 3am, a woman woke me up by saying, “Miss” in my ear. It’s haunted.